I’m sending you a bee-bejeweled bouquet. 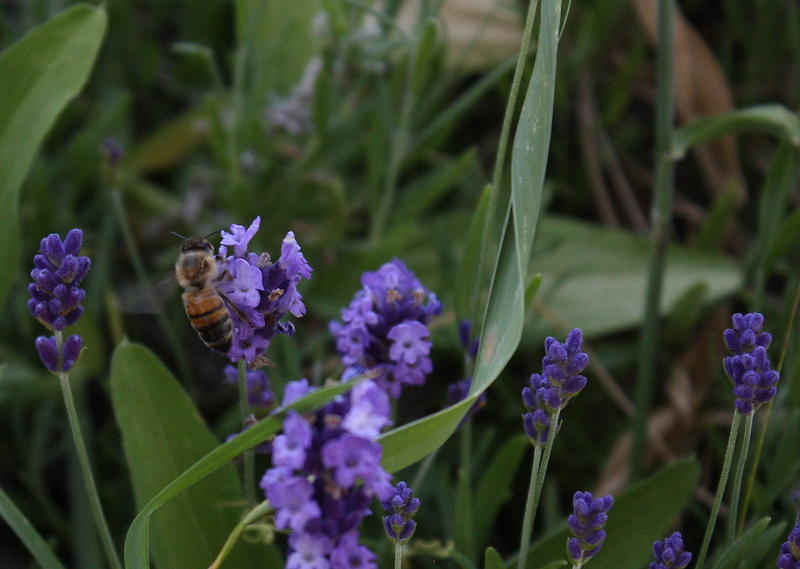 And I’m especially fond of this honey bee. 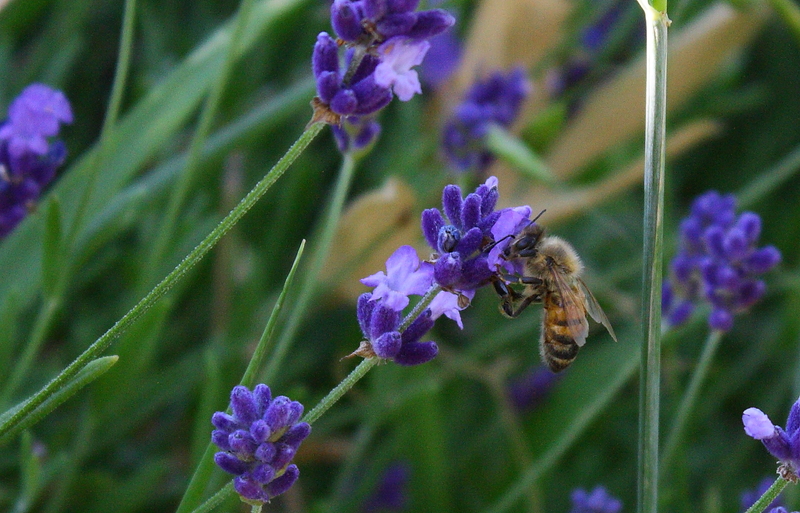 I first tried photographing the bees and lavender plants in the backyard, but couldn’t get any good shots. 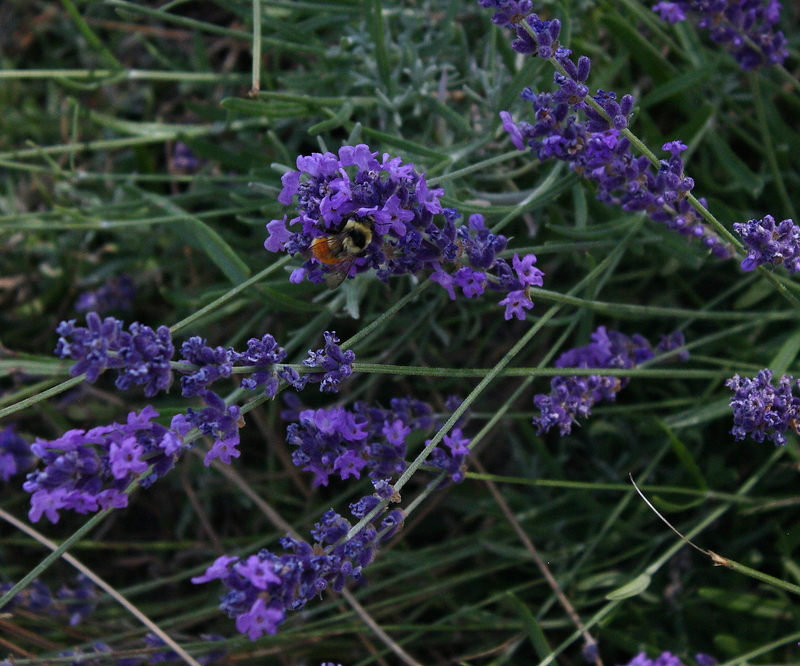 Then I came out in the front and found this bee. He didn’t seem quite so busy as the dudes in back. This guy takes time to savor the nectar. 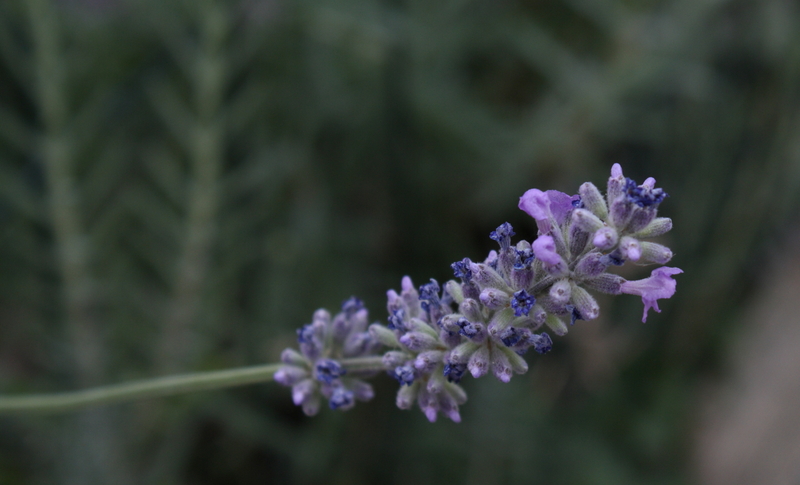 Lavender has many medicinal properties. It’s also good for the soul, especially on a gray Sunday afternoon in January. Now if only this post was a scratch-and-sniff.